Call center managers often question whether or not it is best to hire shared call center representatives or dedicated representatives. Both types of representatives are highly motivated and will help your organization retain customers, make deals and best of all, boost your profits! 3C Contact Services tells their partners that both groups have their advantages. 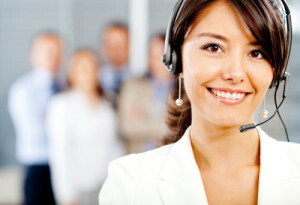 Dedicated representatives are invaluable to high-volume call centers. They have the necessary skills to create successful product pitches and the know-how to provide customer support for centralized products and services. If you’re looking to sell a certain product or provide support for certain services that your organization offers, a dedicated representative can provide the expertise you need to best represent your business. Shared agents are best suited for call centers that have a low call volume. This type of agent can handle inbound calls from a variety of clients, as well as general customer service inquiries for your organization. They can also take care of calls or e-mails related to your organization’s financial dealings and human resources sector. Shared reps are cost-effective since you won’t have to hire several agents to deal with different clients, products, and services. If taking orders and processing transactions is a priority, then hiring shared agents can help the process go much faster. Many of our partners report that a mix of both types of agents provides the best service for their customers. If you choose to employ both shared and dedicated representatives, encourage communication between the two groups of agents—they can make valuable recommendations for other products and services your company offers. Your dedicated agents can also provide training to your shared representatives on the services and products they work with. This will come in handy during busy periods, so your dedicated reps aren’t overwhelmed. Regardless of whether you choose shared representatives, dedicated representatives, or a combination of both—we recommend offering monthly or quarterly bonuses for the representatives who sell the most products or services. This is a great incentive and will encourage your agents to work harder! 3C Contact Services has a well-trained team of dedicated and shared customer support specialists who can handle all of your contact center needs. Visit our web site today for more information on our shared and dedicated agent services.